A few months ago, I wrote a post on the neuroscience of vegetative states (read it here). This week, I was completely blown away by Martin’s story reported on NPR’s new show, Invisibilia (listen here). This is a powerful story illustrating the incredible ability of the human brain to change and heal. Last weekend I attended a Sound of Music Singalong at the Music Box Theater in Chicago. When I walked through the double doors into the theater, I was given a bag of goodies: plastic Edelweiss to hold up during the song, an invitation to the ball, and a popper that we were instructed to pop when Maria and Captain Von Trapp kissed for the first time. I was struck by the age range of the audience, everyone from graying old ladies to young men to children, with some people even in costume! With the exception of one sullen teenager in a hoodie slouched down in his seat next to me, everyone seemed to be excited. I figured only a couple of extra-enthusiastic people would really sing, so I was pleasantly surprised when Maria came running over the beautiful green Austrian mountain and all my neighbors started passionately belting out “the hills are alive!” Everyone was singing. I wondered, what is it that compels people of all ages, races and genders to pile into a theater on a Sunday afternoon and sing for over three hours? What is it about music that so inspires and excites people? This is a question that has gripped neuroscientists all over the world, and recent research has started to provide some answers. To process music, the nervous system needs to engage a large number of regions starting with the intricate structures in the inner ear, which translate sounds into electrical activity that can be sent into the brain. Neuroimaging work has shown that once the signal enters the brain, it creates widespread neural activity (as seen in the diagram below), resulting in strong emotional responses. Mysteriously, it has been repeatedly reported that patients with advanced dementia, who may have lost the majority of their long-term memories and even language capabilities, show preserved musical ability and response. 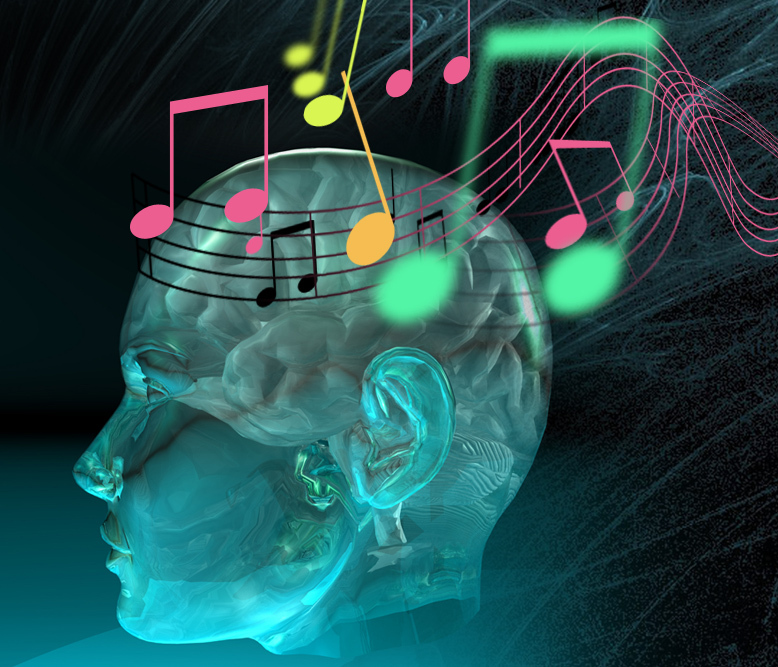 It is possible that because of the widespread effects of music on the brain, including areas that are more spared in Alzheimer’s disease, listening to music may be able to awaken and even preserve cognition by accessing memory through alternate pathways. This is the question that Michael Rossato-Bennett addresses in his award winning documentary Alive Inside (available on Netflix streaming). He takes us on the journey of social worker Dan Cohen as he fights a broken healthcare system and illustrates music’s unique ability to fight memory loss in dementia patients. We are told the stories of Henry (see video here) and many other individuals whose responses to music are breathtaking, miraculous transformations from quiet shells into animated characters singing, moving to the beat and tapping into memories going all the way back to early childhood. It provides a gripping view of the unexpected effects of music on patients that were otherwise considered lost to dementia. As Alive Inside points out, dementia is no small problem. There are 5 million people in America with dementia, and 10 million people spend a large part of their life caring for them. There are maybe a million people in nursing homes, slowly losing their connection to life. And the neuroscience backs this up. In one study done on Alzheimer’s patients, those that listened to “Big Band” music from the 1920’s and 1930’s had better autobiographical memory recall. In another study, Vande Winckel and colleagues showed that when exercise was combined with music (polka, folk and country), mental exam test scores increased and having Vivaldi’s Four Seasons played while taking cognitive tests seems to enhance performance. Listening to music is a low-cost, noninvasive treatment that has been shown effective in study after study, and it has no side-effects! Yet, this information has not been implemented or utilized on a large scale in nursing homes. Dan Cohen’s mission is to change that, by bringing personalized music to people suffering from dementia all over the country. When he embarked on this journey in 2006, Dan found that none of the 16,000 long-term care facilities in the U.S. used iPods for their residents. Today Dan’s work has helped provide personalized music programs to hundreds of nursing homes throughout the country. His success demonstrates the power of technology and how it can be used to not only treat symptoms, but deeply connect with a person’s heart and soul to give them back some joy and purpose. Dedicated to my incredibly talented friend Jennifer Mitchell, whose love for music has always inspired me. Lin, Shuai-Ting, Pinchen Yang, Chien-Yu Lai, Yu-Yun Su, Yi-Chun Yeh, Mei-Feng Huang, and Cheng-Chung Chen. 2011. “Mental Health Implications of Music: Insight from Neuroscientific and Clinical Studies.” Harvard Review Of Psychiatry (Taylor & Francis Ltd) 19, no. 1: 34-46.Academic Search Complete, EBSCOhost (accessed December 9, 2014). Lord TR, Garner JE. 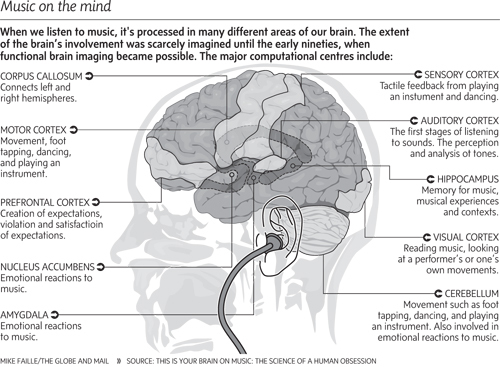 Effects of music on Alzheimer’s patients. Percept Mot Skills 1993;76:451–5. Thompson RG, Moulin CJ, Hayre S, Jones RW. Music enhances category fluency in healthy older adults and Alzheimer’s disease patients. Exp Aging Res 2005; 31:91-9. Recently I visited a place unlike any other. Not quite knowing what to expect, I boarded the bus with the other students and watched as we drove out of Evanston. When the bus stopped and I stepped out, I followed the others across the perfectly manicured lawn into the main building where our group was greeted by our tour guide for the afternoon, the mother of a resident on campus. With the residents now at work, we were able to see a house where some of them lived. Everything was immaculate; the beds were made, the floors spotless and everything put in its correct place. We toured the bakery, the coffee room and the cafe where many residents worked during the day, talking to people while they were performing their jobs and explaining their assignments. Although I was following our guide and listening to her talk, several times I became distracted by the art along the way, lost in thought just looking at it. There was something almost magical about it, like the people who created it knew something that the visitors didn’t, a little secret kept just for themselves. It was everywhere, in the houses, in the offices, and on every bit of free wall. Misericordia, meaning heart of mercy, serves over 600 adults and children with mild to severe developmental disabilities, some of society’s most vulnerable individuals. At least 20 percent of the residents either come from extreme poverty or have no family. Although I assumed Misericordia might have an arts and crafts room, the incredible talent I saw before me in work after work displayed proudly on wall space throughout the tour surpassed my expectations. Some of the residents could not walk or were minimally verbal, and yet here were their masterpieces displayed in every corner. It got me thinking about people’s ability to learn and to push the boundaries assumed to limit them. In Carol Dweck’s seminal work, Mindset, she presents the case of an art teacher, Betty Edwards. Betty teaches an intensive 5 day drawing workshop of 8 hours of instruction per day that teaches escape from the brain’s propensity to analyze and critically evaluate a visual scene and to instead depict what the eye is receiving in raw form. The analytical part of your brain tells you “An eye is just an oval with two pointed ends” which prevents you “from seeing that an eye is a much more complex and asymmetrical shape.” She has each person draw a self-portrait before the course and then again afterwards. Although the time commitment is pretty high, the changes that occur after just 5 days are almost unbelievable. Still, Betty insists that these are the results of a typical class. People tend to view artistic ability as a talent that is either present or not at birth, and perhaps some don’t believe that those with developmental delays, perhaps not acquiring full capacities in language or motor skills, would be gifted with this additional ability. This kind of perspective is an example of what Dr. Dweck calls a “fixed mindset”, one where people think that their basic qualities are fixed and talent alone will bring success even without effort. She argues that this viewpoint is limited and can actually hinder success. 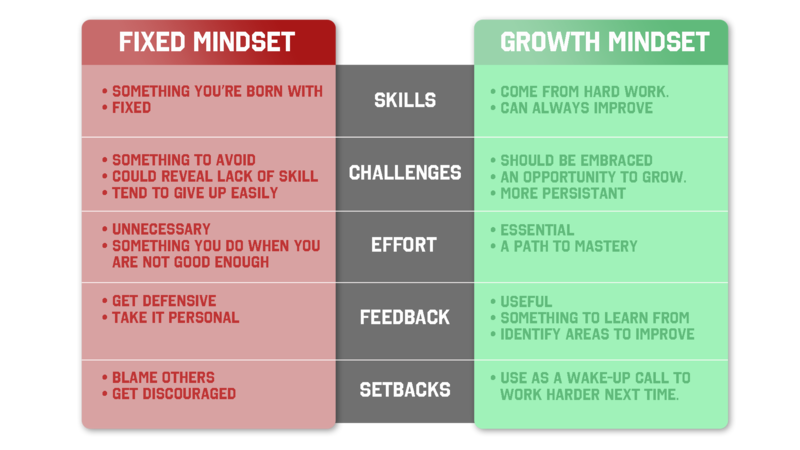 Shifting your mindset to one of growth can make all the difference in how you view challenges and failure. Instead of believing that you just lack the ability and there is nothing to be done about it, you instead believe that you are inexperienced yet have the potential to develop and grow with persistence and hard work. To me, Misericordia is proof of the tremendous power that hides within a human brain that is constantly reinforced and nourished with a growth mindset. The residents were producing art that I wanted to take home and hang on my walls. They depicted beautiful scenes of nature, perfectly capturing the light as it shone through the branches of a large tree, clearly defining the intricate details of petals on a flower or the jagged lines of Chicago’s skyline. In today’s society, so often we hear the public debate over Down’s Syndrome testing and what people would do if they tested positive. It just seems so distant from these individuals who live with others, keep their rooms immaculate, get up every morning and go to work, and create works of art that sell at auction for thousands of dollars. Misericordia is a place drenched with compassion, and it emphasizes that most of the time, all we really need to be happy is a sense of belonging and a purpose. Human potential will always push the limits of what we expect is possible and with the right mindset, what can result will surprise us all. Imagine being in your early thirties, married and excited about what life has in store for you. One day, you start to notice that your peripheral vision is not as good as it once was. You have a hard time detecting things that are not right in front of you; objects and people start to appear very blurry; reading and driving become impossible. After consulting your doctor about this problem, you are told that you have a genetic condition called retinitis pigmentosa. There is nothing that can be done, and eventually you will lose your sight completely. You will just have to adjust to this new way of life. 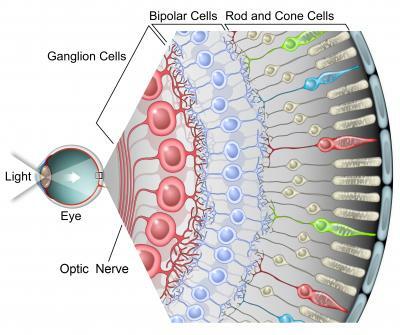 In the eye, the cells that convert light signals from the external world into neural signals are called photoreceptors (the rod and cone cells in the diagram below). They sit at the back of the eye and detect light as it hits the retina. Once they detect this light, they have to translate it into a language the brain can understand, crucial for transmitting visual information to the brain. Retinitis pigmentosa causes degeneration of these rod and cone cells, and therefore leads to the breakdown of the interface between the world (light) and the brain. Without these cells, information about a visual scene becomes stuck and unable to get through to the brain to be processed; the brain cannot interpret visual information, eventually leading to blindness. Larry Hester was diagnosed with retinitis pigmentosa more than 30 years ago, but recently, he was able to see light again for the first time in many years. Researchers at Duke University implanted a device with many tiny electrodes that could essentially bypass the damaged rods and cones to send information to the brain. Here is how it works: Larry wears glasses with a video camera attached, which sends a signal about what Larry is looking at through a tiny wire to a computer attached to his belt. The computer receives the information and relays it to the electrodes on the retina, which activates the cells that project into the brain. The device is translating the light information into neural activity, giving Larry the ability to experience and interpret the image he is looking at. At a basic level, the device is able to perform the function of the photoreceptors that have died. It is important to note that this technology is new and limited, giving Larry only a blurry version of the world. Despite this, I have no doubt that the technology and its use will continue to improve rapidly, inching closer and closer to giving people normal vision. Larry says it is his dream to be able to see his wife’s blue eyes again. Although he is not able to achieve this with his current implant, at least he is one step closer. Dr. Paul Hahn, an Assistant Professor at the Duke Eye Center, points out that we are entering an era of medicine where, for the first time, instead of just watching as patients lose basic abilities such as vision or movement, we can start to build devices that will help restore those abilities. What an exciting new time! It is often the case that researchers can get discouraged by costly failures and uncertain obstacles, but this is the important work that serves as a necessary reminder that every once in a while, when things work out, it is actually possible to give someone back the gift of sight. Price, Jay. “Duke Fits First Patient in State History with ‘bionic Eye'”Newsobserver. N.p., 10 Sept. 2014. Web. 19 Oct. 2014. “It is not the critic who counts; not the man who points out how the strong man stumbles, or where the doer of deeds could have done them better. The credit belongs to the man who is actually in the arena, whose face is marred by dust and sweat and blood; who strives valiantly…who knows great enthusiasms, the great devotions; who spends himself in a worthy cause; who at the best knows in the end the triumph of high achievement, and who at the worst, if he fails, at least fails while daring greatly, so that his place shall never be with those cold and timid souls who neither know victory or defeat.” Theodore Roosevelt, “The Man in the Arena,” 1910.